Though Gibson's highly-anticipated, back-to-basics 2019 lineup of instruments is still making its way into guitar stores across the world, its 2018 lineup is definitely still widely available—now with some phenomenal discounts. 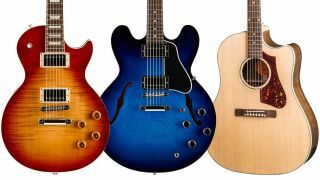 Over at Guitar Center, an even 70 electric, acoustic and bass guitar models have had their prices slashed—from the Les Paul, SG, Explorer, Flying V and Hummingbird, to the J-45 and much more. The biggest price cuts are on the higher end of Gibson's price range, such as the Limited Edition Doves in Flight 12-string, which has been marked down $1,180 to $6,669 from $7,849 - but there are some solid deals to be had further down the range, too.